Shimla: Severe cold wave conditions revived in most parts of Himachal as lower and mid hills were lashed by thunderstorm and rain while tribal areas and higher reaches had another spell of moderate snowfall. 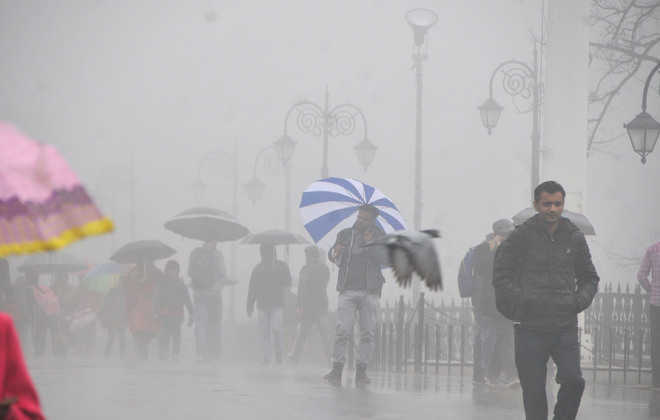 Shimla and surrounding areas were lashed by thunderstorm, accompanied by intermittent rain while high-altitude tribal areas and other higher reaches received a fresh snowfall. Rohtang Pass received 10 cm of snow while Kalpa and Keylong recorded 5 cm and 3 cm of snow while Kalpa also received 7 mm of rain. Bhuntar was the wettest with 9.2 mm rain, followed by Kufri 8 mm, Shimla and Manali 5 mm and Sundernagar 2 mm. 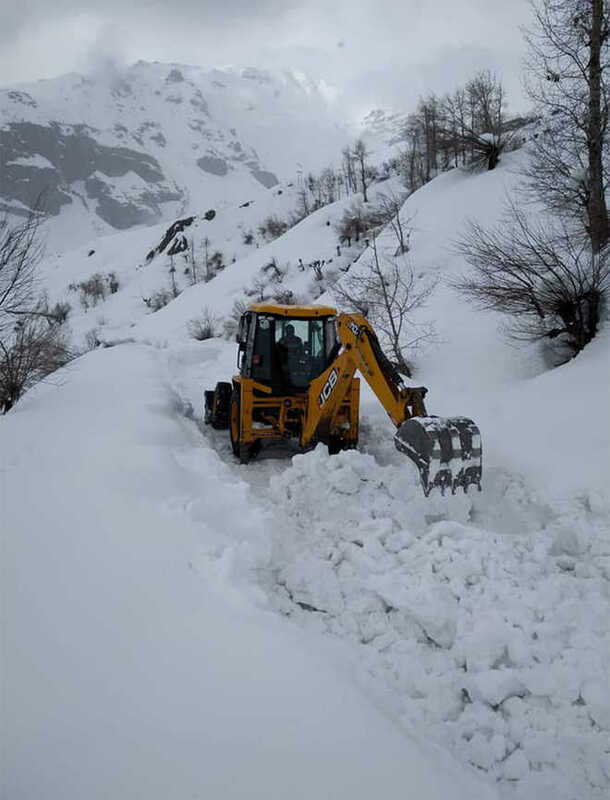 The Border Roads Organisation (BRO) on Monday started the snow-clearance operation from the Manali side to open the 13,050-ft Rohtang Pass. A ‘puja’ was performed amid mild snow in Gulaba to commence the operation. 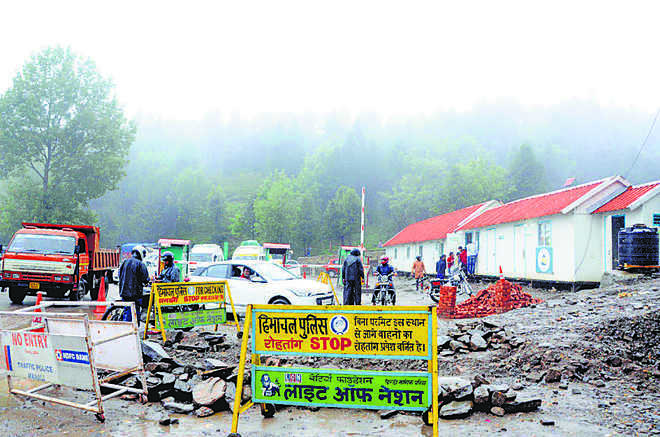 The Dalhousie-Khajjiar road was opened to traffic on Tuesday. 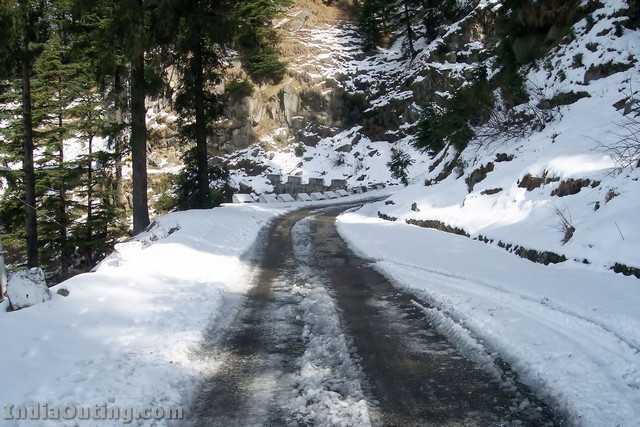 Finally, the Dalhousie-Khajjiar road was opened last evening before the onset of the tourism season. The road, having a distance of about 24 km, had been blocked for about two months due to heavy snowfall. According to Deputy Commissioner of Chamba Harikesh Meena, the opening of the road had brought cheer among hoteliers and locals associated with tourism activities. After three months, the Border Roads Organisation (BRO) has restored the Tandi-Udaipur road to traffic in Lahaul-Spiti. It will enable residents of the Udaipur region to avail transport facility between Udaipur and Keylong. These had been cut off since December because the area had received a heavy snowfall, which blocked the road. MANALI: In an attempt to combat traffic jams, the authorities have decided to bring into force unidirectional traffic system on Manali-Rohtang highway from May. With the rise in temperature in the plains, lakhs of tourists from across the country head to Manali, particularly snow points of Rohtang, to get some respite. To prevent thousands of vehicles from getting stranded on the narrow road leading to Rohtang, the Kullu administration has decided to make the Rohtang highway one-way and impose a timing system. The highway leading to Manali town would also be made one-way. Even as mercury maintained its rising trend in most parts of Himachal and Una recorded a high of 36.0 degree, three degree above normal, the local MeT office has predicted rains or snow at isolated places in the region over next five days up to April 9. 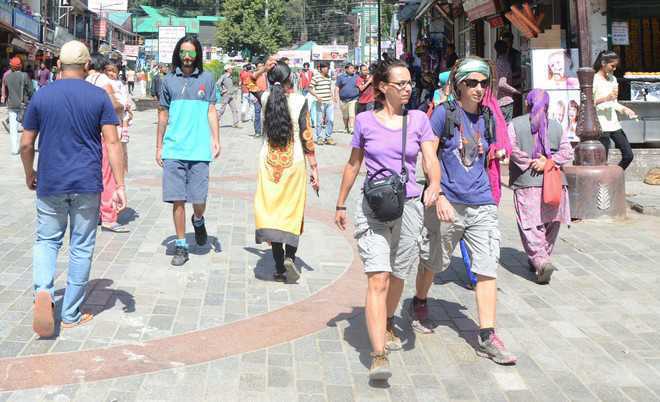 A file photo of tourists strolling on The Mall in Manali. The Kullu district administration is all geared up for the upcoming tourist season. It is expected that Kullu and Manali will witness a considerable increase in tourist footfall in the coming days as compared to previous years because of the ongoing unrest in J&K. Hoteliers of Kullu-Manali have urged the district administration to make proper parking arrangements to avoid traffic chaos in Manali town. The district administration of Kullu has restored the tourist point of Gulaba, near Manali town towards Rohtang pass, for tourist activity. The step has delighted hoteliers and tourists as the popular tourist spot was closed for tourist activity for the past four months due to heavy snowfall in the region. Intermittent rains lashed lower and middle hills of the state on Tuesday. Fagu received 13 mm of rain, followed by Kufri 11 mm, Manali and Kalpa 7 mm, Shimla 6 mm, Solan 4.2 mm, Baghi 4 mm and Sundernagar, Dalhousie Sangla, Baldwara and Bijahi 3 mm of rain each. 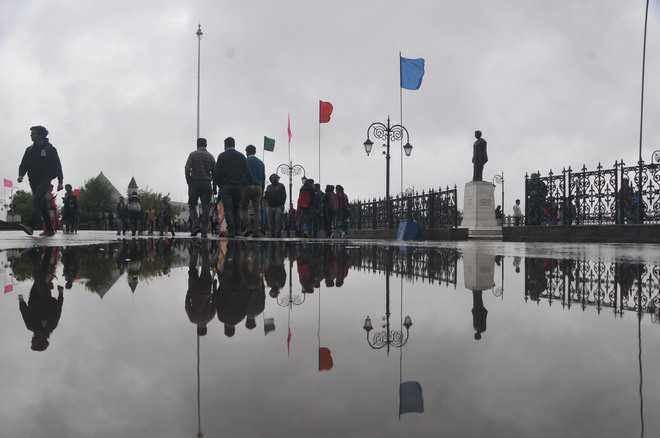 Wintery conditions were revived in mid and higher hills of the state as mercury dropped sharply following widespread rain, which was accompanied by fierce winds. The minimum temperatures dropped by two to five degrees. Keylong was the coldest at night with a low of 1.8°C while Kalpa and Manali shivered at 3.3°C and 6.8°C. Minimum temperature dropped to 9°C at Shimla, followed by Dharamsala 10.2°C, Palampur 12°C, Bhuntar 12.2°C, Solan 12.4°C, Sundernagar 14.2°C and Una 15°C. Upper reaches of Dhauladhar ranges and Chhota and Bara Bhangal valley received snowfall on Wednesday, while the lower reaches were lashed by intermittent rain. The entire Kangra valley was in the grip of a cold wave which led to considerable fall in the minimum and maximum temperature.